Small wooden storage units that will fit comfortably down the side of your house or business. 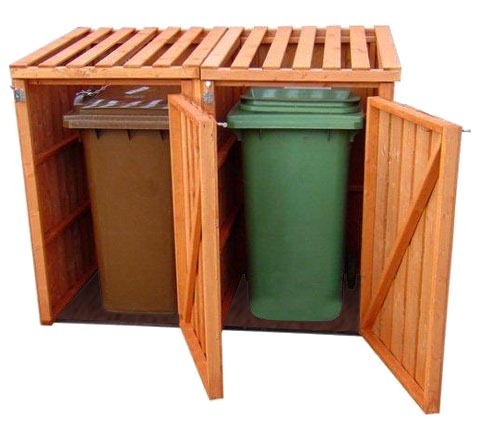 Unlike other companies our wheelie bin sheds come with doors on and flooring to protect from vermin. Option for Single, Double (pictured), Triple bin storage or more.. Opening latch on the top for easy access. All sides clad with our tongue and groove wood.